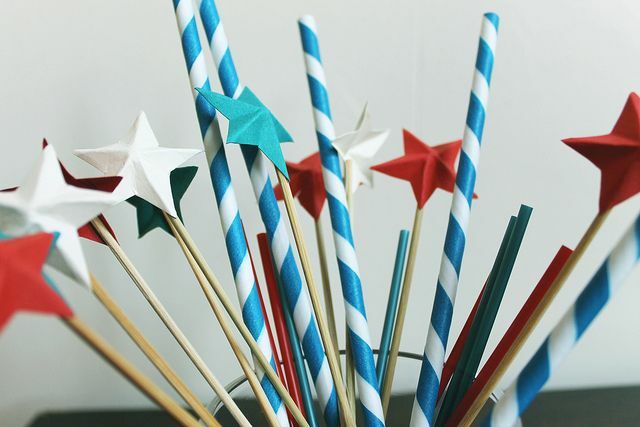 Today: Quick and versatile paper star decorations for this year's patriotic barbeque. Tomorrow is the 4th of July, and if your menu doesn't involve blueberries and raspberries arranged in a flag pattern, you may be looking for some last-minute ways to incorporate red, white, and blue into your spread. Don't panic. Put down the blue food coloring. Put down the fireworks. 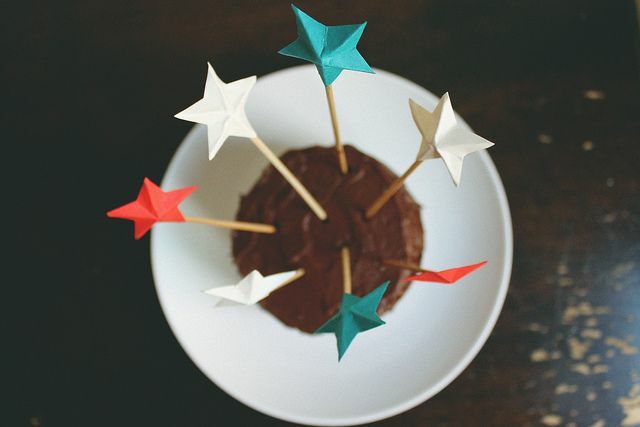 Consider instead a small paper decoration which you can set atop everything from cakes to cocktails. 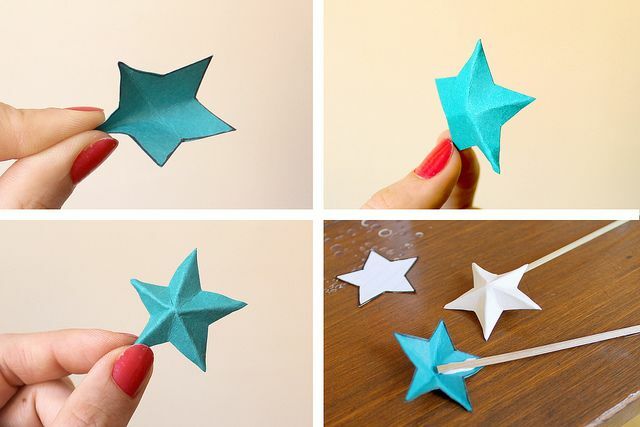 These little 3D stars are as easy as cutting and folding, and you can choose to sprinkle them around the table, string them into a chain with a needle and thread, or do what I did and glue them onto bamboo skewers. 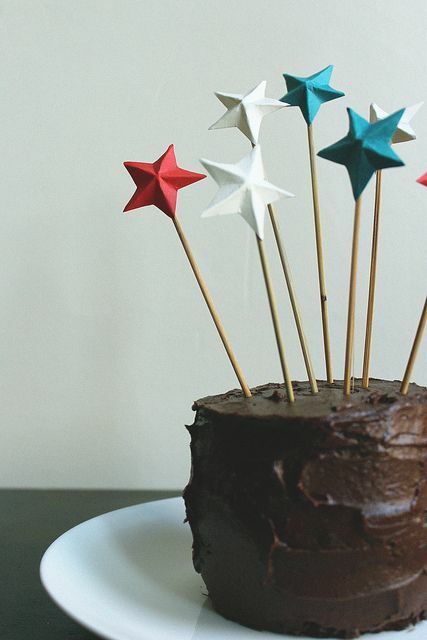 Whether you're hosting your own party or going to a friend's backyard picnic, a handful of these will go a long way in making things more festive. 1. Cut your stars out. To do this, I traced a clipart star from my computer screen onto some thin notebook paper and used this as a pattern. You can even trace the star from the photo below if you'd like. 2. 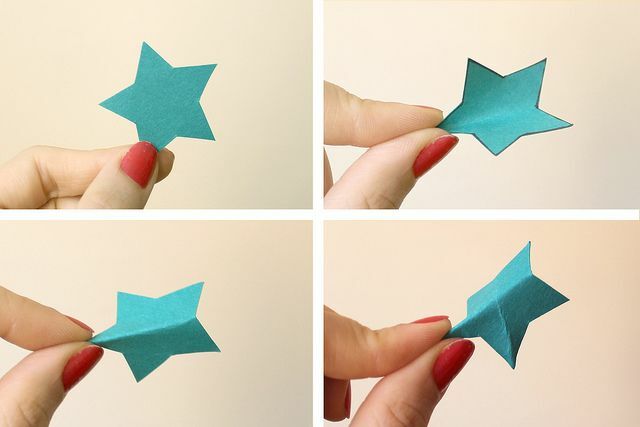 Fold one of the star's points in half, making a crease down its center. Unfold, and crease the next point in the same way. 3. Continue until all five points have been creased and these creases meet in the center of the star. 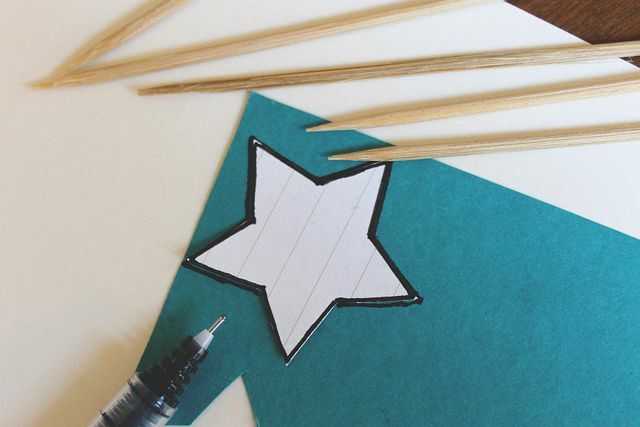 Dot a little bit of glue on the back of the star, set the bamboo stick into the glue, and allow to dry for 10 minutes. 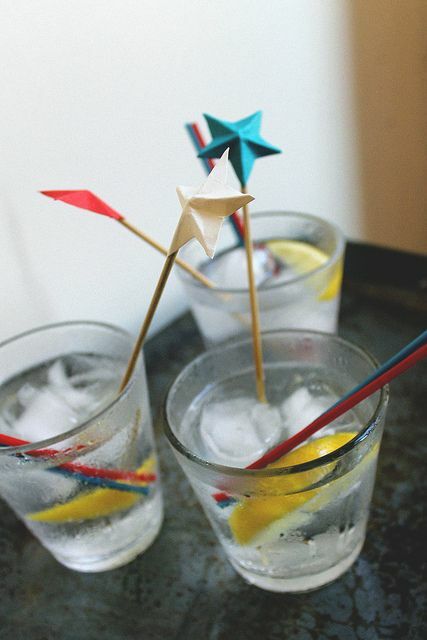 Got other crafty ideas for the Fourth? Share them in the comments! These are adorable. And that cake looks delicious!